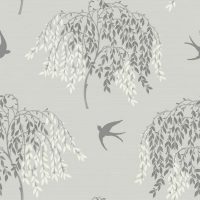 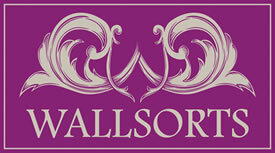 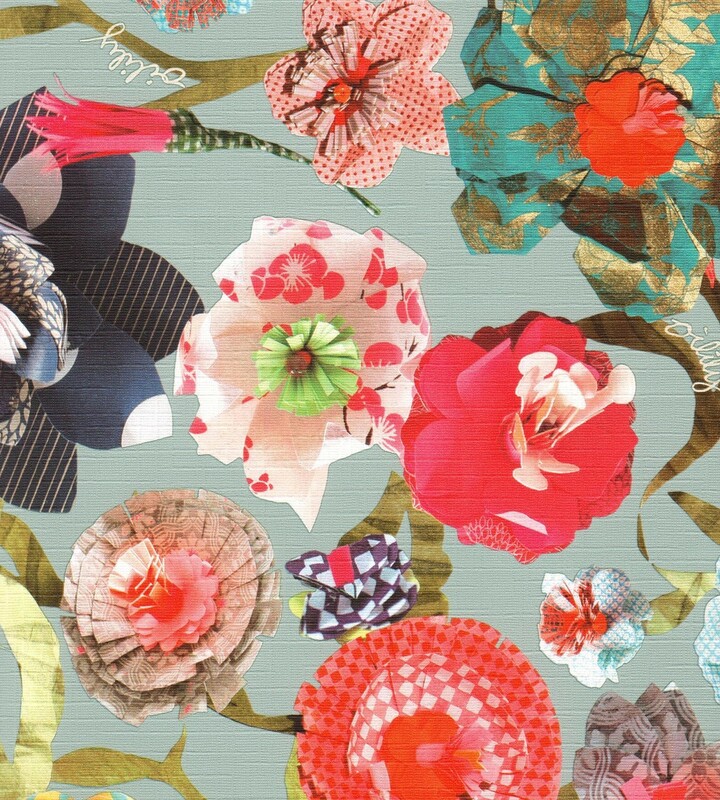 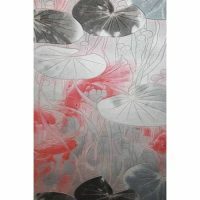 Silver Forest is a beautiful design from the latest range of luxury heavyweight Italian vinyl wallpapers. 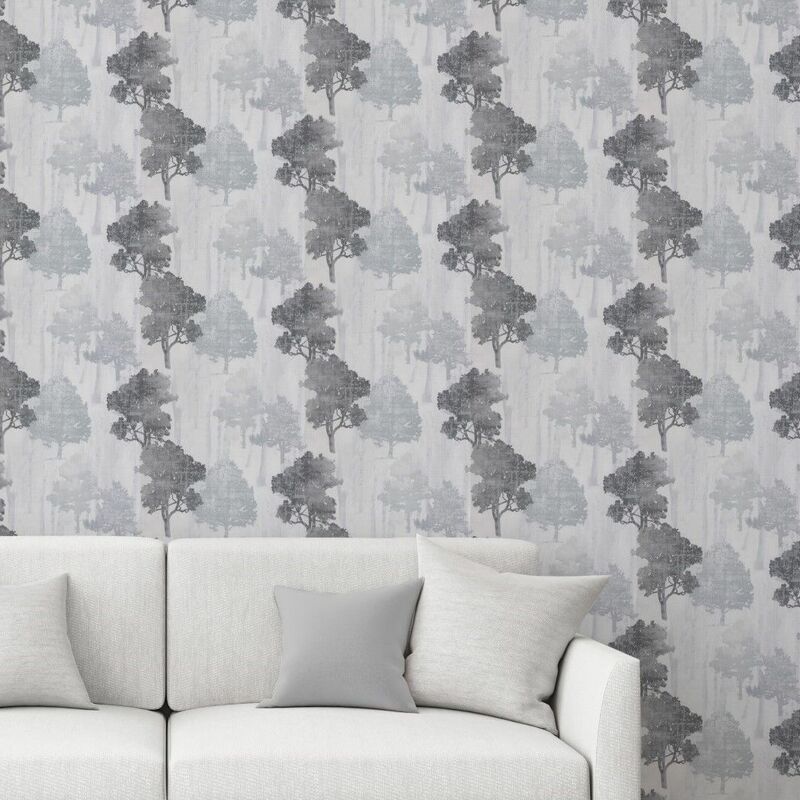 The trees are in charcoal and silver colours where patches of the trees have a metallic shimmer effect that gives this wallpaper an extra dimension when caught in the light. 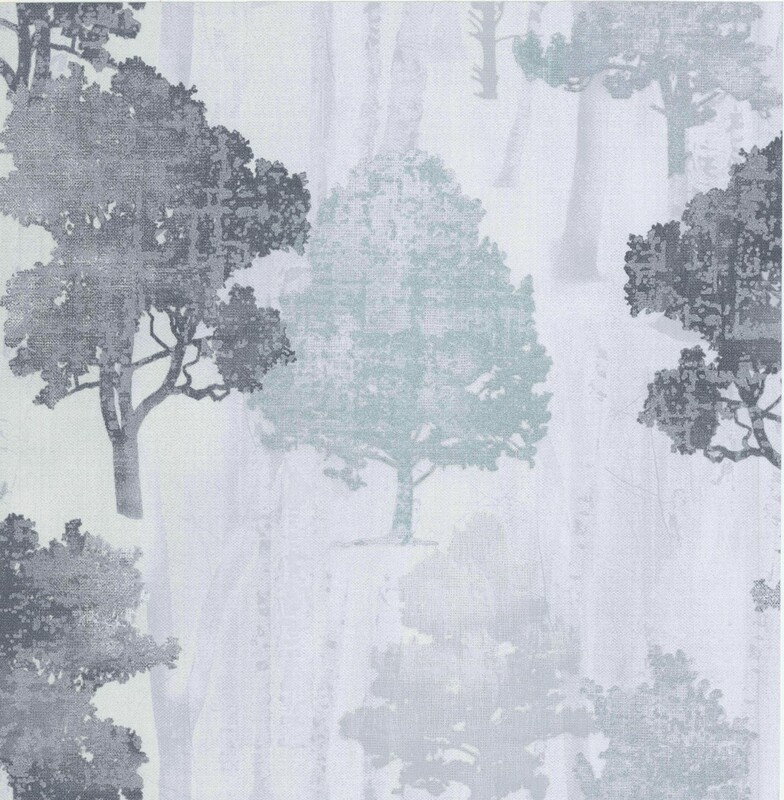 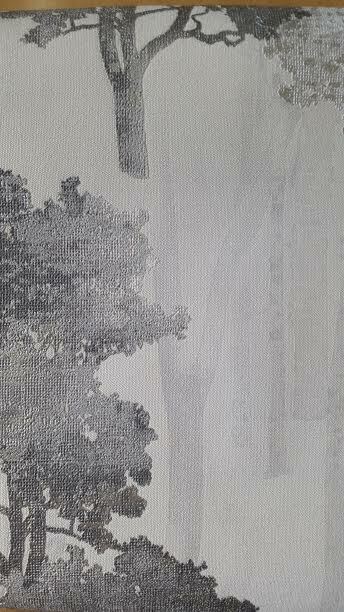 These lie on a fine fabric textured effect background in a mid grey colour that have a very subtle shadow tree design behind the more obvious forest design. 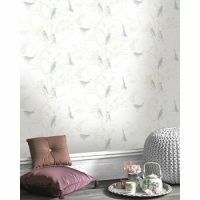 At 2.4kgs per roll, the quality of this vinyl wallcovering is immediately evident upon contact and the luxury and class is clear when on the wall.